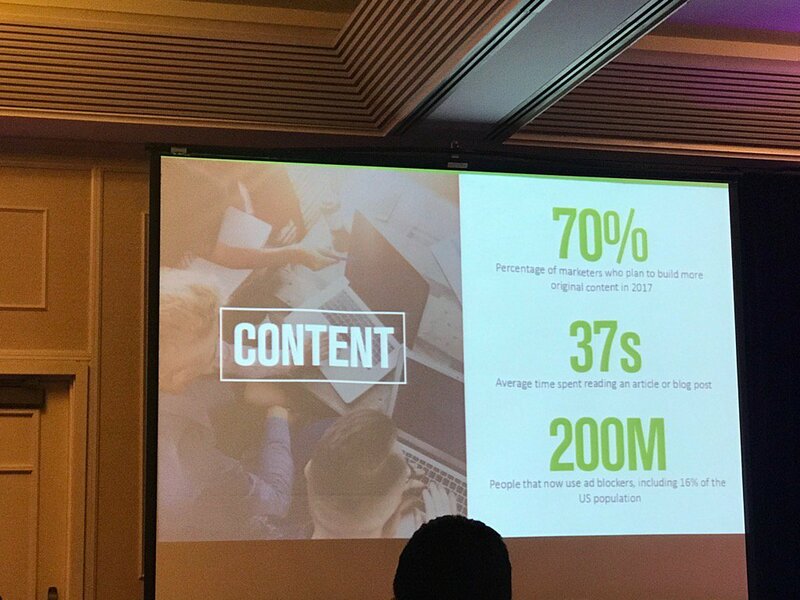 I had the wonderful opportunity to attend the Growth Marketing Conference in San Francisco last week. If you work in growth marketing, attend the conference at least once. I was happy to hear that the conference was going to be all about engagement and relationships. This makes sense because growth marketing is all about engagement and relationships. Jon Miller, CEO of Engagio provided the morning keynote. 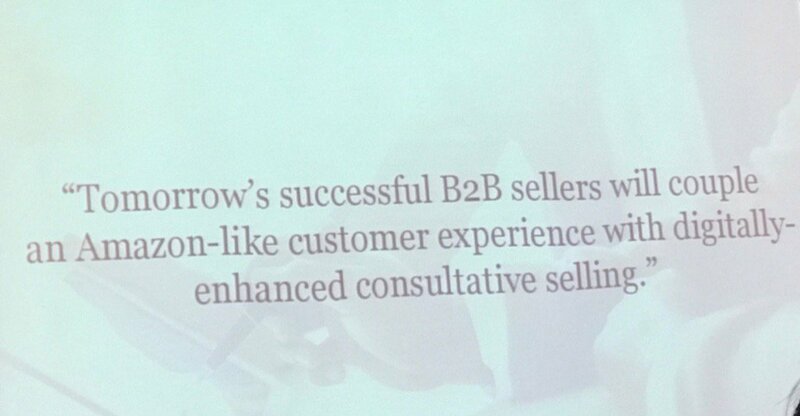 He talked about how relevance is key in growth marketing. He said “75% of executives will respond to relevant unsolicited marketing materials”. So, the point here is if you know your customer, and can provide them with relevant content, they’ll listen and want to engage. Google’s Krista Seiden, explained the importance of analytics in marketing. Marketers should use tags to optimize their marketing efforts. There are many opportunities to use tags such as in testing your email, ad and social media effectiveness. Doing this will help you optimize your marketing to improve its effectiveness. Yet, it’s not a one-time thing – we have to continue to audit our marketing and find opportunities to optimize and personalize it. Also, Seiden said marketers should take advantage of Google Optimize. 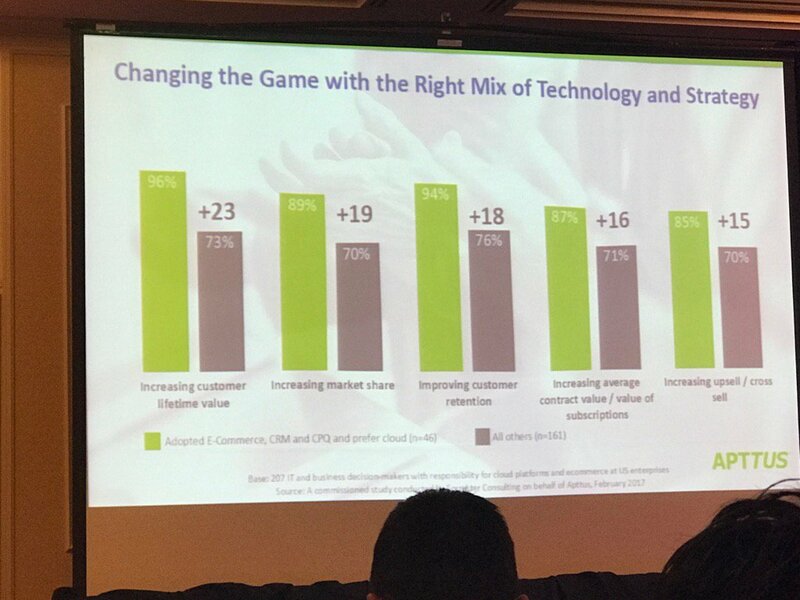 It’s pretty clear that most executives agree that customer experience is the modern competitive battlefield. Marketing leaders must understand Marketing’s role in customer experience delivery and be ready to contribute substantially to this mandate. Thus, Marketing must deliver experiences that are digitally led, data-driven and multichannel that customers want. Relevancy is key. Experiences must be engaging, personalized and optimized. And, the use of Google Analytics and other tools can help marketers meet these mandates. Dennis Yu, CTO of BlitzMetrics, carried forth the relevancy and engagement batton. He said that one negative Faceback post can cancel out 100 positive ones. Because Facebook’s algorithm is designed to promote good content, marketers must post good, engaging content, optimize it and promote it. Yu also said that since the average time spent watching a video on Facebook is six seconds, we must provide content that is engaging and optimized. Dan Olsen, product consultant, said that every organization should have a growth roadmap for its products. When he asked the audience how many had a product roadmap, roughly 10% answered in the affirmative, which he said was about right. 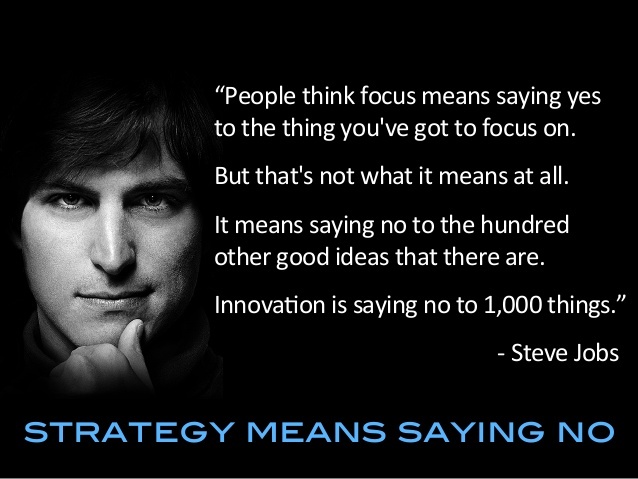 Strategy does mean saying no. Your strategy should start with benefit analysis. (1) List customer benefits, one per row. (2) Add competitors, one per column. Which user benefits are you providing? How will you be better than your competition? Alexandra Mack, of Crunchbase, talked about its “customer journey marketing” that it’s doing as a result of using Autopilot. Here is where I had to do a double-take. “Customer journey marketing” is not a thing. Customer journey mapping is a framework that you use to optimize your marketing and help you to create better experiences. I understand why it helped them. Journey mapping helps brands better engage with their customers. A customer journey map helps brands visualize the journey and can help them optimize the journey to provide better experiences for their customers. It’s the glue that ensures your experiences are consistent and engaging. Good journey maps help ensure that you’re delivering the right messages to the right people at the right time. 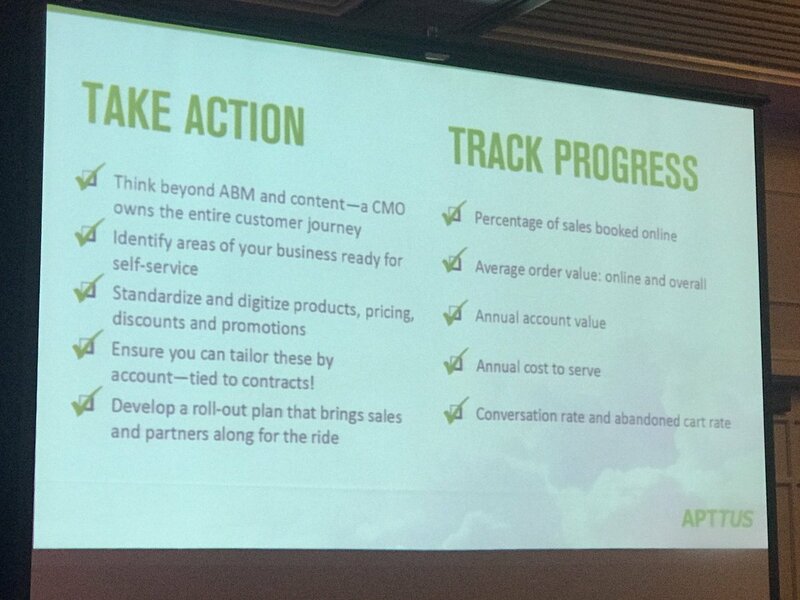 Maria Pergolino, VP of Apttus, provided the afternoon keynote. 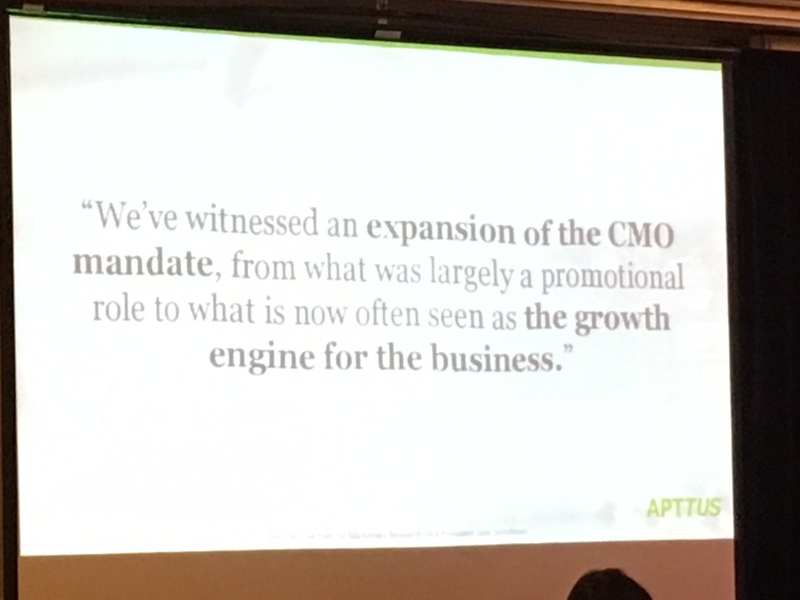 CMOs are now often seen as the growth engine for the business. 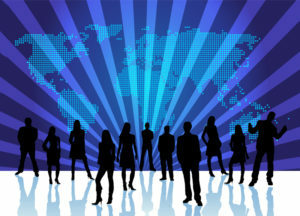 They are being held responsible for driving growth, creating many revenue streams and the like. Yet, it’s becoming more challenging to impact those revenue streams as it’s more difficult to engage buyers. There is a lot of clutter in the marketplace. 70% of marketers plan to build more original content in 2017. Yet, it’s hard to get to decision makers. 200M people now use ad blockers. Or engage with or engage them. People are spending, on average, 37 seconds to read an article or blog post. 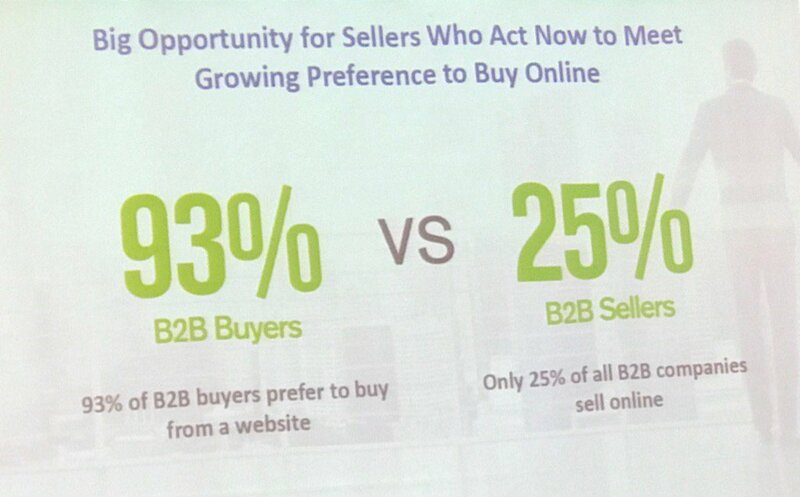 So, while 93% of buyers want to buy from a website, only 25% of sellers sell online. There is a tremendous opportunity to bridge this gap. Business buyers want to engage (and buy) on their own terms. It’s going to take a new type of seller to engage them. Organizations should be building operations around these customers. And, marketers should be enabling engagement and buying/selling across channels through optimization. ⇒ Organizations must create a culture of learning. Don’t strive to know, strive to understand. What did we learn? How can we apply this to finding a repeatable, profitable, predictable business model? ⇒ Sheppard noted “80% of CEOs don’t trust their CMOs right now, we should do a better job at measuring ourselves”. Marketers aren’t doing a good enough job to measure themselves and CEO’s are taking notice. ⇒Marketing should better align themselves with sales and product. ⇒ Analyze your current customers. Marketing must identify the ICP – Ideal Customer Profile – who seeks to save money, make money, create competitive advantage or stay out of jail. Take your buyer personas and rank them by which produce the most money, with the least amount of work (this aligns well with my CX Audit post on CMO.com). ⇒ The greater your company is, the greater your brand is. ⇒ How we speak with our customers shouldn’t be about selling but about seeking fit and value. We must understand them and their needs, and then create value for them. Dan McGaw, CEO of Effin Amazing, discussed marketing stacks. Recently, KPCB’s Mary Meeker, in her 2017 Internet Trends Report, said that the average enterprise has 91 marketing tools. McGaw said that over 6,000 marketing technology tools will be introduced this year. You have to choose wisely. Which tools will optimize your marketing? Above all, remember that your marketing stack is only as good as the people you hire to use it. So, keep your customer in mind when you’re selecting your tools. And, leverage your tools to optimize your marketing. Martijn Scheijbeler discussed A/B Testing and the fact that it’s one of the most impactful optimizing tools marketers have in their toolkit. It’s important that you understand why you are doing A/B testing. So, don’t do it just because everyone else is doing it. What are the reasons you’re doing A/B Testing? What is the purpose? Make sure you document your tests so you can manage them. And, definitely, document your results. Growth isn’t only about acquisition. It’s about lifetime value. The sooner marketers understand that and do something about it, the more successful they will be. Therefore, how we engage with our customers will generate the positive or negative outcomes that will drive lifetime value and growth. Book a no obligation 15-minute consultation to see how M4 Communications can help you get your marketing and customer experience initiatives in shape to create customer value and drive growth. Sign up for email updates to receive the latest insights and news direct to your inbox. Your privacy is important to us so we will never SPAM you or share your email information. The Confidence Question – Do We Really Need Another Metric? © 2018 M4 Communications. All Rights Reserved.